Leading Manufacturer of titanium pipe, titanium nut bolts, titanium sheet, titanium tubes, titanium grade 5 tubes and titanium sheet grade 2 from Mumbai. Titanium Pipes. We offer a wide range of titanium pipes that are made of qualitative raw material procured from reliable vendors. Known for its high quality, durability and corrosion resistance, these titanium pipes are widely used in various industries across the globe. We offer a wide range of Titanium Fasteners Nut bolt that are fabricated from high grade raw material to be used in different industrial applications. These titanium GRADE 2 nut bolt & GRADE 5 nut bold fasteners are available with us in various specifications according to the various industrial requirements. Moreover, we also offer customization as per the clients demands & Requirements regarding sizes and shapes. Titanium Grade 5 Tubes is fully heat treatable in section sizes up to 15mm and is used up to approximately 400 Degree C (750 Degree F). 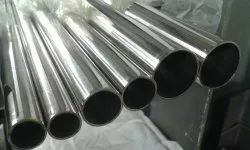 Titanium Grade 5 Tubes has good welding and fabrication characteristics such as High Strength, Heat Treatable, Good Ductility, Good Fabricability, and Good Weldability. Minimum Order Quantity 10 PER KG. 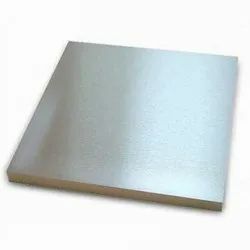 We are Manufacturer & supplier of Titanium Sheets. We always aim to provide high quality sheets & Plates at most competitive price, high on quality and durability. These sheets and plates are available in different dimensions and material to ensure wider choice to our clients. 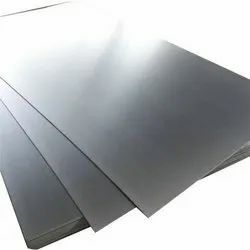 We are supplier of Titanium Sheets Grade 2. We always aim to provide high quality sheets & Plates at most competitive price, high on quality and durability. These sheets and plates are available in different dimensions and material to ensure wider choice to our clients. Available Grade Monel, Nickel, Inconel, Hastalloy, Copper..
ADIKALP STEEL OVERSESS are supplier of Titanium Sheets Grade 5. We always aim to provide high quality sheets & Plates at most competitive price, high on quality and durability. These sheets and plates are available in different dimensions and material to ensure wider choice to our clients. Minimum Order Quantity 50 PER KG. ADIKALP STEEL OVERSESS are supplier of Titanium Plates Grade 5. We always aim to provide high quality sheets & Plates at most competitive price, high on quality and durability. These sheets and plates are available in different dimensions and material to ensure wider choice to our clients. ADIKALP STEEL OVERSESS are supplier of Titanium Plates Grade5. We always aim to provide high quality sheets & Plates at most competitive price, high on quality and durability. These sheets and plates are available in different dimensions and material to ensure wider choice to our clients. The high strength, light weight and corrosion resistance of Titanium Grade 5 Pipes enables this grade to be used in many applications. 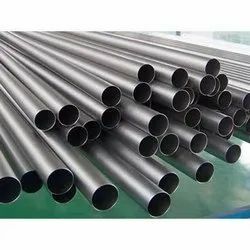 ... Adiakalp steel oversess is a known manufacturer and exporter of Titanium Grade 5 Round Pipes, which are metals that contain a mixture of titanium and other chemical elements. Evolving from Optimize Technologies' original Titanium Hybrid Ferrule technology, the EXP2 Ti-LOK Fittings feature built-in PEEK ferrules and threaded nuts precision machined from titanium. The new fitting combines the superior corrosion resistance and robustness of titanium with the sealing capability of PEEK. TITANIUM ROUND BAR. Titanium round bar is a very popular go-to for many products. ... Titanium round bar is available in most of the almost 40 grades, with the most common being grade 5 and grade 2. The medical field often uses small-diameter round bar for body implantable fasteners and dental appliances. 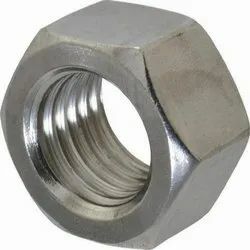 We are manufacturing and supplying superior quality Titanium Nuts and Bolts that are made from cent percent titanium metal.The use of advanced engineering techniques and modern machining facilities allows us to bring forth optimum range of bolts with better precision, durability and seamless finish. Offfered products are available in various standard dimensions. Owing ti our trustworthy logistics partners, we assure sfe and timely delivery of our products. Grade 2 and 5 are available. Fatigue resistance The inherent flexibility and high tensile strength of Titanium allows the energy stresses of regular use to be effectively dissipated without degradation of the material, ensuring Titanium frames stay stronger for longer. Impact resistance The high tensile, or ultimate, strength and low elastic modulus of Titanium combine to create unparalleled impact resistance, meaning Titanium frames can soak up much harder punishment than frames built from other materials. we are manufacturer and supply Titanium Seamless Pipes from qualitative raw material with latest technology. We offer a range of titanium alloy pipe, titanium pipes, titanium seamless pipes, titanium pipe fittings and industrial titanium pipes. Our range is highly appreciated for durability, corrosion resistance and quality and is extensively used in various industries across the globe. We are manufacturing and supplying superior quality Titanium Fasteners that are made from cent percent titanium metal.The use of advanced engineering techniques and modern machining facilities allows us to bring forth optimum range of bolts with better precision, durability and seamless finish. Offfered products are available in various standard dimensions. Owing ti our trustworthy logistics partners, we assure sfe and timely delivery of our products. 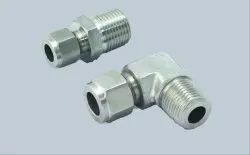 About Titanium Tube Fittings. Titanium Ferrule Fitting of high quality and precision finishing are manufactured by Oshwin are are sold under our brand Ferrule Fitting. We manufacture both Titanium single ferrule and double ferrule fittings. 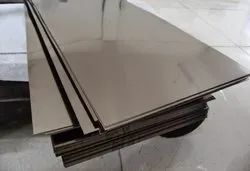 We are manufacturer titanium plate. With an aim to cater to the wide needs of the clients, we are affianced in providing an enchanting range of Titanium Plates. Titanium PIPE are the ninth most abundant element in the earth’s crust and the seventh most abundant metal. This is classified in Titanium grade 2 & titanium grade 5. Its low density, slightly over half that of steel, and its high strength combination is the reason for the metals growing preference in both military and commercial aircraft. 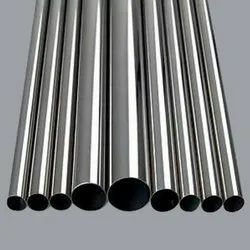 The alloying of titanium tubing with elements such as aluminum and vanadium increase the strength of titanium while at the same time retains its weight advantage over steel. Titanium wire specializes in producing high purity uniform shaped Titanium Wire with the highest possible density for use in semiconductor, Chemical Vapor Deposition (CVD) and Physical Vapor Deposition (PVD) processes including Thermal and Electron Beam (E-Beam) Evaporation, Low Temperature Organic Evaporation, Atomic Layer Deposition (ALD), Metallic-Organic and Chemical Vapor Deposition (MOCVD). 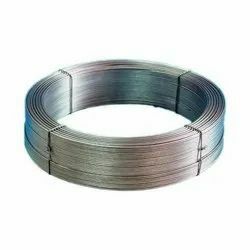 Our standard MetalWire sizes range diameter with strict tolerances and alpha values (conductive resistance) for uses such as gas detection and thermometry tolerances . Please contact us to fabricate custom wire alloys and gauge sizes. Titanium round bar is a very popular go-to for many products. It requires a much more automated process to make than plate and block, which still involve a manual process. Round bar lends itself to a multitude of products, from fasteners to jewelry.Titanium round bar is available in most of the almost 40 grades, with the most common being grade 5 and grade 2. Titanium Alloy Welded Pipes is typically used in applications that require superior corrosion resistance in various aggressive media. Titanium Pipes offers high corrosion resistance and a greater working range than aluminum. These Titanium Pipes also offers excellent corrosion resistance, superior formability and strength between grades 1 and 3. Titanium Round Pipes is the most commonly used and widely available grade of unalloyed titanium. Meanwhile, these Titanium Pipes are also being offered in different sizes and shapes to our customers. Titanium pipe classified are two garde TITANIUM PIPE GRADE 2 & TITANIUM PIPE GRADE 5 PIPE. Adiaklp Steel Oversess is a prominent manufacturer, trader and supplier of a vast collection of Titanium Round Bars. Titanium Round Bars is the most generally used and extensively obtainable grade of unalloyed titanium. Titanium Grade 2 has moderate strength with excellent cold form-ability, weld-ability. This titanium also has excellent resistance to high oxidization. Available forms are seamless pipe, welded pipe, seamless tube, welded tube, bar, wire, sheet, plate, forgings, pipe fittings and flanges. 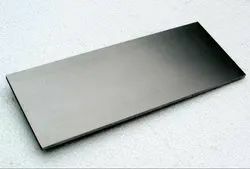 We are supplier of Titanium Plates. We always aim to provide high quality sheets & Plates at most competitive price, high on quality and durability. These sheets and plates are available in different dimensions and material to ensure wider choice to our clients. We provide titanium pipes and necessary equipment of all kinds at a competitive price. With the close alliance to our chosen manufacturers we are able to deliver titanium pipes of highest quality in all relevant grades (e.g. grade 2 or grade 5 titanium) in accordance with international and industry standards. We are manufacturer in titanium grade 2. 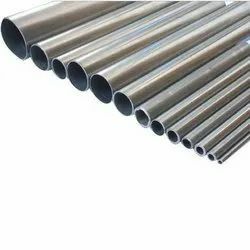 With moderate strength and excellent corrosion resistance and formability, Titanium Grade 2 Pipes represents the most widely used form of titanium. ... Titanium Grade 2 Pipes offers high corrosion resistance and a greater working range than aluminum. ADIKALP STEEL OVERSESS is a known manufacturer of Grade 2 Titanium Bolts / Nuts, which is sometimes referred to as “Commercial Pure (CP)” due to its approximate yield strength. Designing with these Titanium Grade 2 Hex Head Bolts taking all factors into account has resulted in reliable, economic and more durable systems and components, which in many situations have substantially exceeded performance and service life expectations. Our Titanium Grade 2 Hex Head Nuts possesses the greatest formability, excellent corrosion resistance and high impact toughness. ADIAKALP STEEL OVERSES is a known manufacturer and exporter of Grade 5 Titanium Bolts / Nuts, which has good creep resistance up to approx. 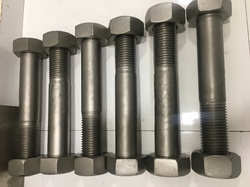 We are able to machine Titanium Grade 5 Nut Bolts, besides the fact it was the first to process this material with the technology of Rapid Casting. 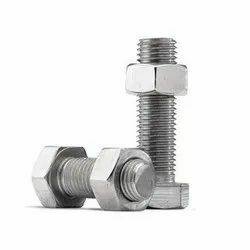 Designing with Titanium Grade 5 Nuts bolt taking all factors into account has resulted in reliable, economic and more durable systems and components, which in many situations have substantially exceeded performance and service life expectations. We are manufacturer Titanium Nut Bolt Manufacturers. While having enormous production capacities and technological resources, we are capable of processing, stamping, and surface treatment. has been showing the way to follow to all titanium nuts and bolts suppliers from the very first day of entering a market. We are professionally recognized by a myriad of state and commercial organizations that have already become our loyal customers. We are manufacturer TITANIUM NUT BOLT. We offer superior quality Titanium Nuts and Bolts that are made from cent percent titanium metal. 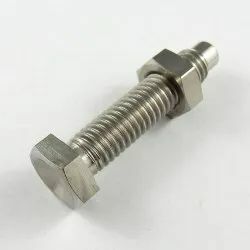 The use of advanced engineering techniques and modern machining facilities allow us to bring forth optimum range of bolts with better precision, durability and seamless finish. Offered products are available in various standard dimensions. 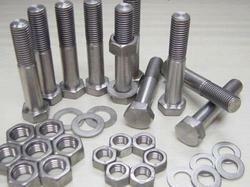 We Are Manufacturers in titanium bolts 304 grade, Exporters and Supplier of a wide range of Titanium Fasteners that are using high quality raw materials in mumbai, we are most acclaimed Titanium Fasteners manufacturer, exporter & suppliers in India.